55 fiction 173. The Dark Knight!! 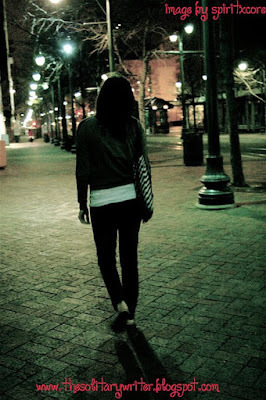 She locked all doors and walked out into the dark streets as usual. None of those who met her in the dark saw the ebony tears of mascara she shed each night. But today was her day with her prince. “Love you too honey.” Her first night of love. This is my first 55 word fiction.Comments and Suggestions are welcomed . This is really your first 55 fiction? And you are nominated for avant grande best 55 er award!!! Congrats!! And best of luck!